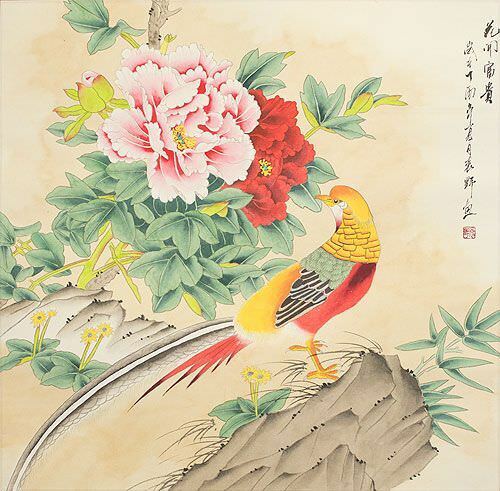 Artwork Panel: 64.5cm x 62.8cm ≈ 25¼" x 24¾"
Silk/Brocade Border: 73.8cm x 71.8cm ≈ 29" x 28¼"
This painting features a golden pheasant with peony flowers in the background. I was amazed to learn that you can now Buy Golden Pheasants right here in the USA. If my backyard was not full of coyotes, I would be buying a pair of these colorful birds right now. 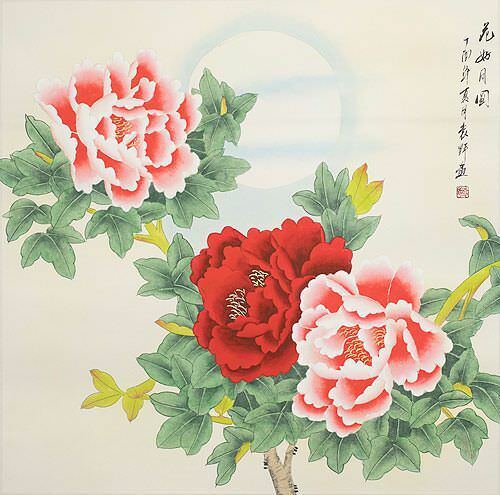 The Chinese title is 花開富貴 or "Jǐn xiù huā kāi". The first two characters mean "splendid" but literally mean "brocade embroidery." 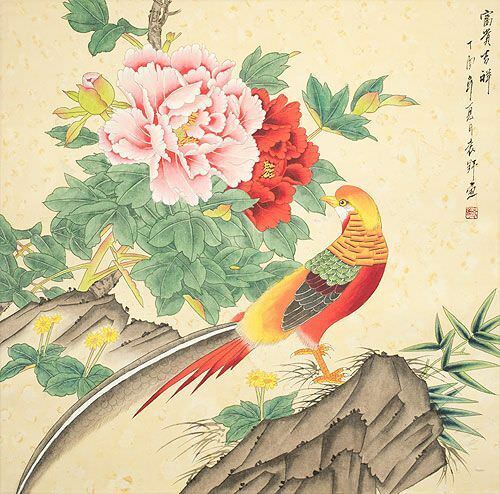 Brocade embroidery was considered very fine and splendid through the ages in China and is sometimes used as a literary adjective like this. The last two characters can be translated directly as "Flowers Blooming" or "Flowers Opening". The characters after that read, 歲在丁酉年夏月 which is an ancient way to indicate this was painted in the summer of 2017. 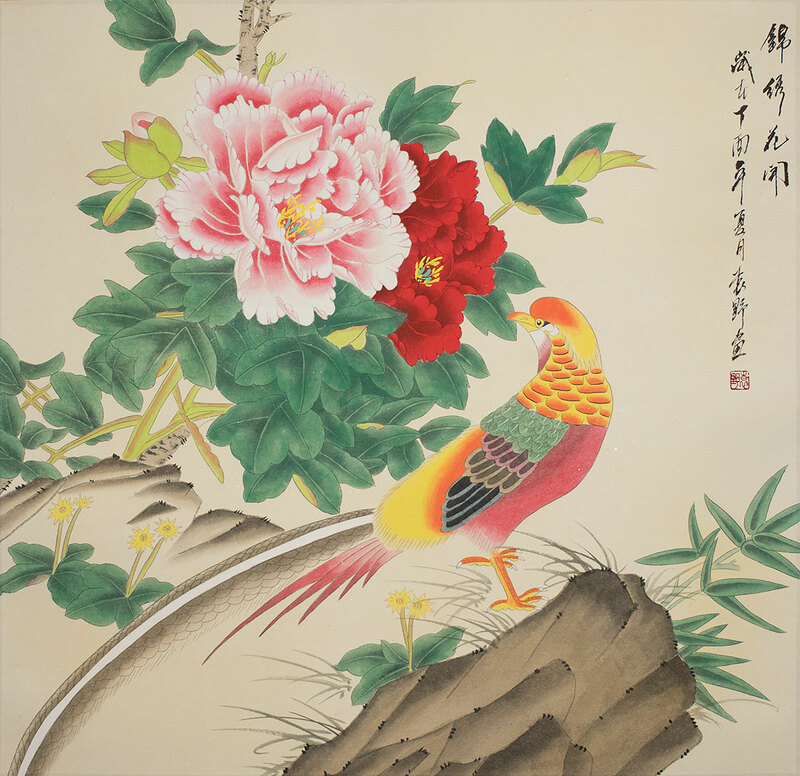 The artist signed it, 袁野畫, or "Yuan Ye Painted" (畫 is a character that in this context means, "painted by"). 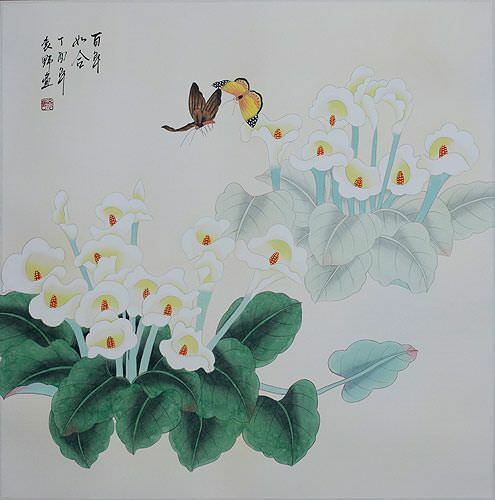 Materials used are watercolors on handmade xuan paper. The painting was then mounted with a copper-brown-colored silk brocade matting/border. 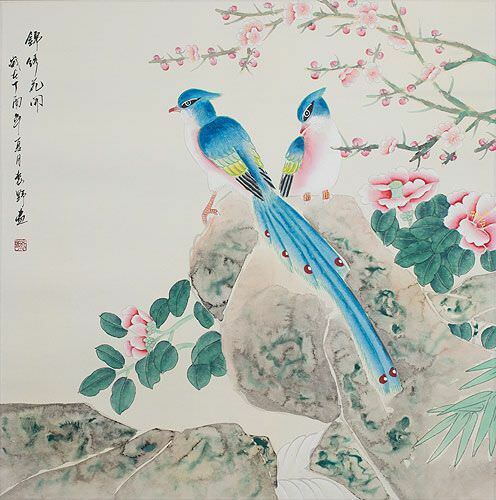 This was hand painted by (Yuan Ye) who lives near Guilin in Southern China. 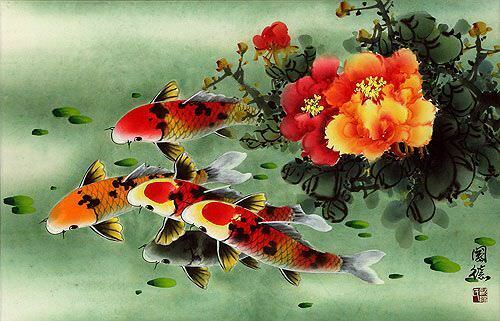 Most of his paintings feature fish which are his specialty.